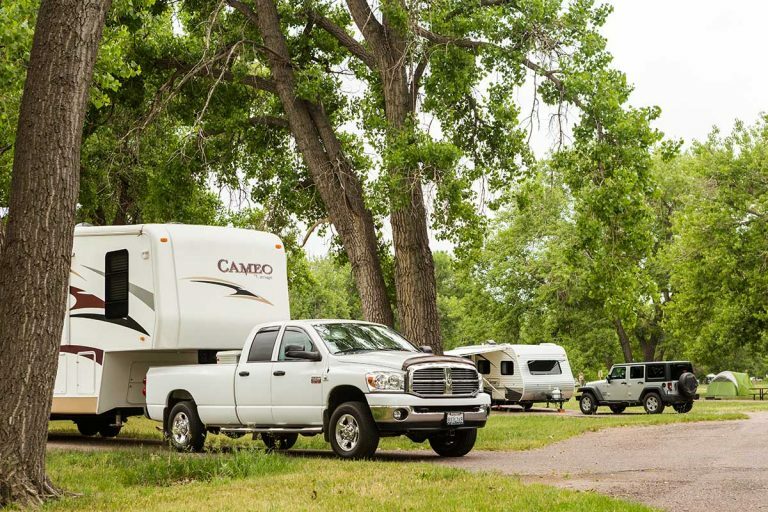 Boats, trucks, cars, RVs…you name it, and it has a towing capacity. What does this mean exactly? The towing capacity is simply the total weight limit for what you can tow behind your vehicle. In some instances, you’ll see it’s called the maximum towing capacity. Either way, it means the same thing. Towing capacity and vehicle payload are not interchangeable terms. The payload of a vehicle is the total weight aboard the vehicle. You add the weight of the items, equipment, gear, passengers, and the driver to get the payload. It has nothing to do with towing. It’s still important to know vehicle payload, but it’s not the towing capacity. However, payload does affect your towing capacity. I’ll get into that further down the page, so keep reading for the full explanation. Need more information about payload? 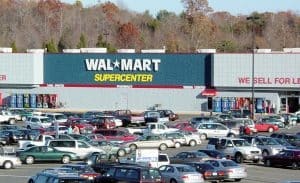 I did too, so I researched the topic and wrote this post about truck payload and why it matters. Why does towing capacity matter? Getting back to towing capacity, then, what happens if you surpass it? There’s no harm in pulling a few extra hundred pounds on your oh-so-strong Silverado or F-250, right? 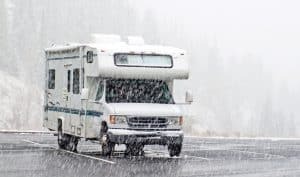 You could cause transmission issues as the towing vehicle fails to get enough lubrication and overheats while straining. 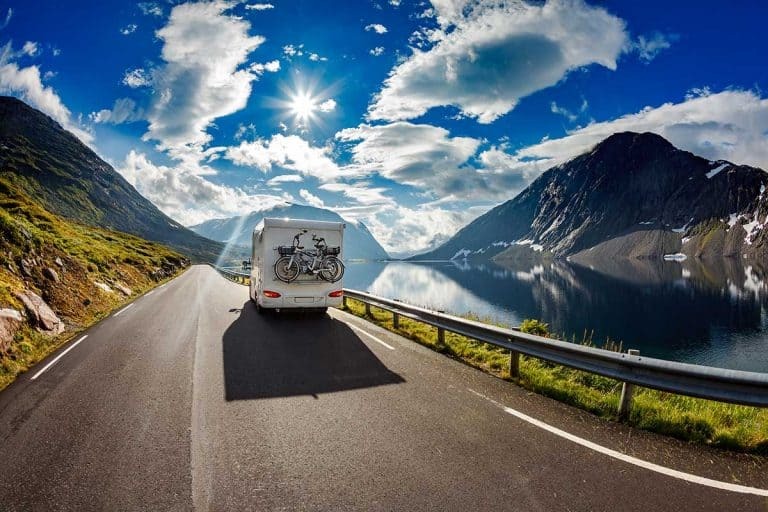 There’s the chance your trailer could sway, which means it moves uncontrollably and could cause an accident. Lastly, you won’t be able to brake nearly as quickly as usual. All that extra weight behind your vehicle is hard to stop so suddenly. This again puts you at a risk for accidents with other motorists. As you can see, towing capacity matters a lot. Towing over your towing capacity is illegal. If you get directed to a weigh station and you’re found to be towing over your vehicle’s towing capacity – that’s against the law. How about towing too little? Is that possible? Since it’s perfectly ok to drive a truck that’s not towing at all, you’d think that towing a little bit wouldn’t matter. Well, it does. If you tow a trailer that’s too light and doesn’t put enough pressure on your hitch, you risk trailer sway. That’s when your trailer stops “listening” to the leading vehicle and starts moving from side to side. This is more of a risk when there are side winds. A lightweight trailer is at greater risk of losing traction and its grip on the road. Once a trailer begins to sway, bad things can happen. It’s easy to lose control over a swaying trailer, especially if it happens to be a long one. Towing is complicated and should not be taken lightly (pardon the pun). Make sure you know what you’re doing before you get a trailer on the road. You simply refer to your vehicle’s owner manual. There, you should find the max weight you can safely tow with that vehicle. No user manual on hand? There’s always good old Google. Again, as you’ll notice this is different from payload capacity or Gross Vehicle Weight Rating (the weight of the vehicle fully loaded – but not towing). You may also notice that RAM suggests a range for towing capacity rather than single number. So what’s this all about? Let’s take a look at this wonderful towing chart by Ford. This one is for the 2018 models of their F-250 trucks. Length of the truck’s bed. Engine type (gas or diesel – makes a difference). The rig is just so much more stable that it can take on additional weight without worrying about sway. You can find these tables for all 2018 Ford heavy duty trucks in this handy brochure. Other manufacturer have their own stats for their trucks. 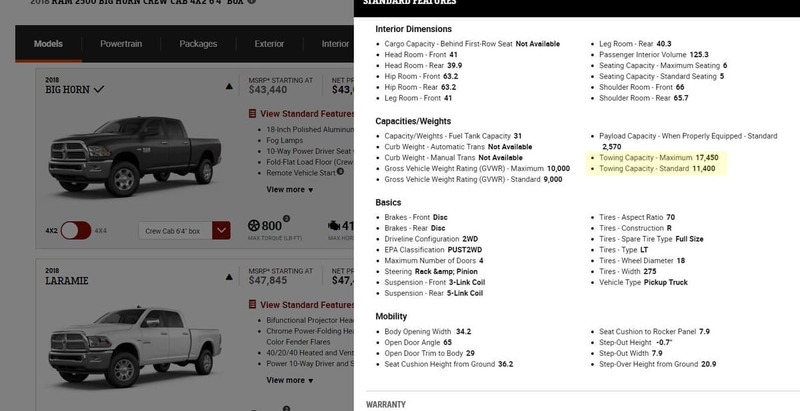 This website can help you quickly find the towing capacity of most SUV’s, trucks and cars but just remember, this is not an official source. It can still be helpful though. In addition to your towing capacity figures, you also need to take your payload into consideration. I talked here about payload. In a nutshell, it’s the weight that your truck can carry – without taking towing into account. Payload is everything you can put inside/on your truck. It includes driver, passengers, gear and gas in the tank. You would think payload doesn’t matter for towing but it most certainly does. 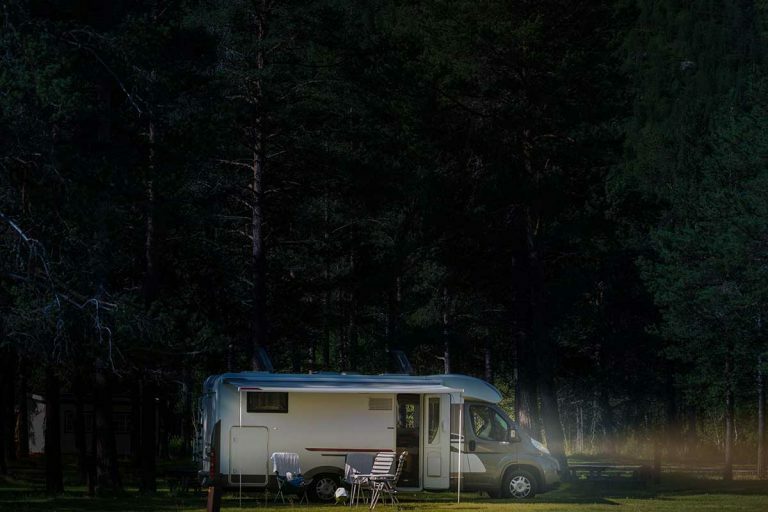 In fact, many experienced RV’ers say that payload is the more important number and not the towing capacity stated by the manufacturer. Wouldn’t it make more sense to pay attention to the towing capacity the manufacturer takes so much pride in? The problem is, that towing capacity is often calculated for an empty truck. With no gear or passengers. Which isn’t something that’s likely to happen in real life. Fortunately, there are easier ways. There’s a tongue weight scale (Amazon link) that you can buy and use to get an accurate reading of your actual tongue weight. It’s a great thing to have with you, so you can make sure you’re towing safely. Why is tongue weight so crucial? Tongue weight is really a measurement of the balance between towing vehicle and towabble. And it’s probably the most important thing you can control to prevent sway. As a rule of thumb, your tongue weight should be 12%-15% of your trailer actual weight (including full tanks and everything inside it). The heavier the trailer, the higher the tongue weight because the trailer is putting too much pressure on the hitch. The lighter the trailer, the lower the tongue weight. 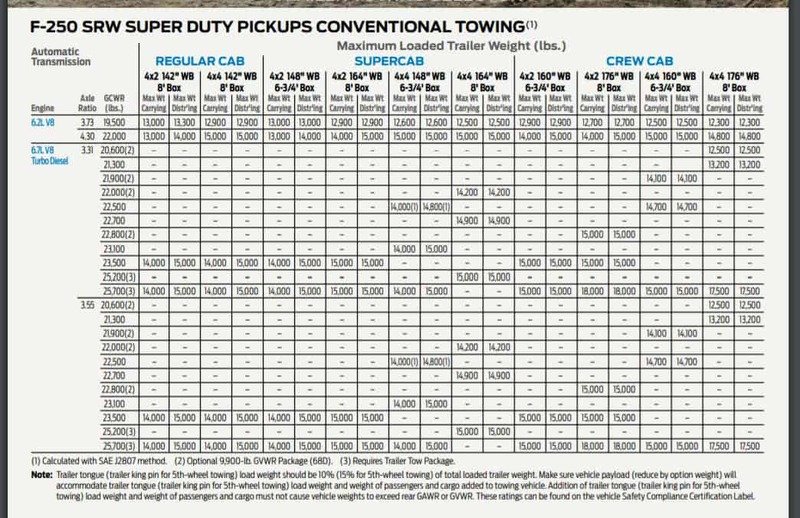 For optimal towing, you need to balance that weight to the range I just mentioned. More about tongue weight further down this post. The tongue weight is part of your payload. Let’s say you have a truck with a payload of 2,000 pounds. That payload must be enough for everything, including tongue weight while towing. People, gear, gas AND tongue weight – all together – should never exceed 2,000 pounds. Since tongue weight must be 12%-15% of your trailer weight, the lower your truck’s payload, the smaller the trailer. If the truck we just described carries 1,200 pounds of gear, people and gas, that only leaves 800 pounds for tongue weight. If 800 pounds is 12%-15% of the trailer weight, then the trailer must weigh between 5,333 and 6,666 pounds. That’s fully loaded with everything in it. Confused? Read this again. Don’t go out there towing before you realize what your real towing capacity is, based on your payload and tongue weight. In the end, there’s an upper limit to what your vehicle can move on the road. That’s an upper limit to your hauling (payload), hitch and towable put together. That figure is known as the GCWR – Gross Combined Weight Rating. In other words, if you load your trucks with cargo AND tow at full capacity – you could be going over the limit for your total GCWR. So, two things to keep in mind – total weight you’re getting on the road and how that weight is distributed between truck and trailer (in other words, tongue weight). So, now you know how much your vehicle can tow. It’s time to figure out the other side of the equation: Your trailer weight. Just a reminder – your truck’s weight (including gas, oils and cargo) also matters. 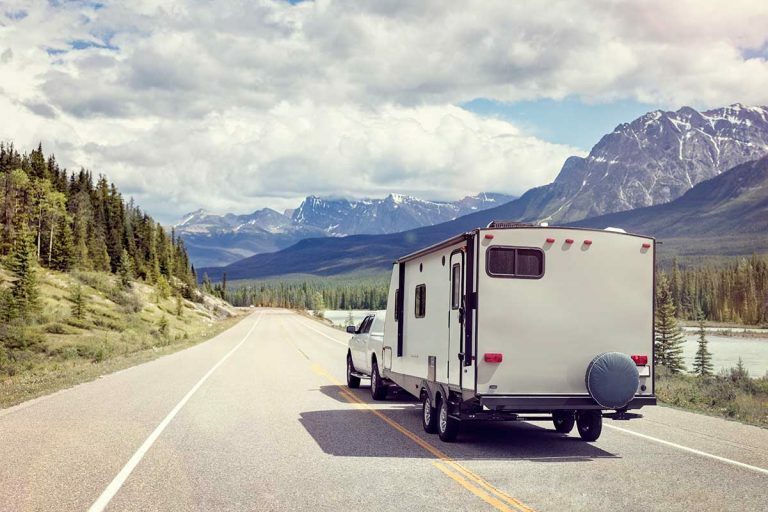 For now, we’re focusing on towing capacity so the issue at hand is how to figure out what kind of weight you’re pulling behind the towing vehicle. The hitch or tongue you’re using to tow it with. Yes, tongue weight again! It’s that important. Hitch Weight Vs. Tongue Weight: What’s the Difference? When the vehicle and the trailer are attached via the hitch, there’s a certain amount of pressure that pushes down on the hitch. You may also hear of this referred to as the hitch weight. There’s no difference between the two terms, so you can use either one. Most RV experts default to using tongue weight, so that’s what we’ll do as well. You might want to use a special scale for the job. This will weigh your vehicle, giving you the Gross Trailer Weight or GTW. This is the total weight of your vehicle with all equipment, gear, passengers, and cargo. The tongue weight should be between 12 and 15 percent of the GTW, but no more than that. Some people go as light as 9% but from everything I’ve read, the closer you are to 13% or so, the better. The tongue weight is important to know for many reasons. Just like you can overload a trailer if you surpass the towing capacity, you can overload the hitch or tongue, too. If you do so, you could experience trailer sagging. This negates the functionality of the brakes. You might not be able to stop when you want to. Just like before, this puts you at risk of an accident. And yes, by now you probably know that you also have to be careful of too little tongue weight. This can cause the trailer to sway out of control. That’s just as risky, if not more so, than an overloaded trailer. Going back to your towing capacity and how much it is that you’re towing. You should remember to include the weight of the apparatus itself when calculating just how much you’re towing. Trailers and RVs all come in different shapes, sizes, and weights. 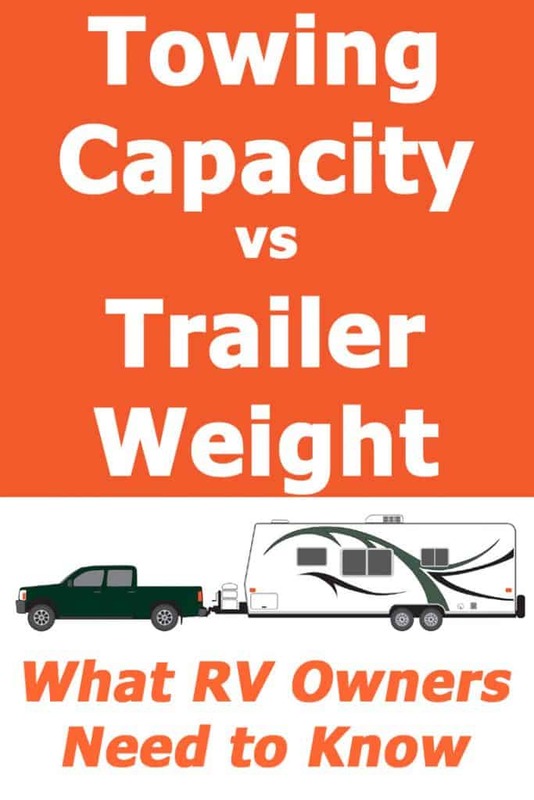 In order to make sure that you don’t go over your maximum towing capacity you simply must know how much your trailer weighs. This isn’t too difficult to figure out simply because it’s nearly the first thing a manufacturer will tell you about the trailer. With a used trailer, you can easily look up the number on the manufacturer’s website. 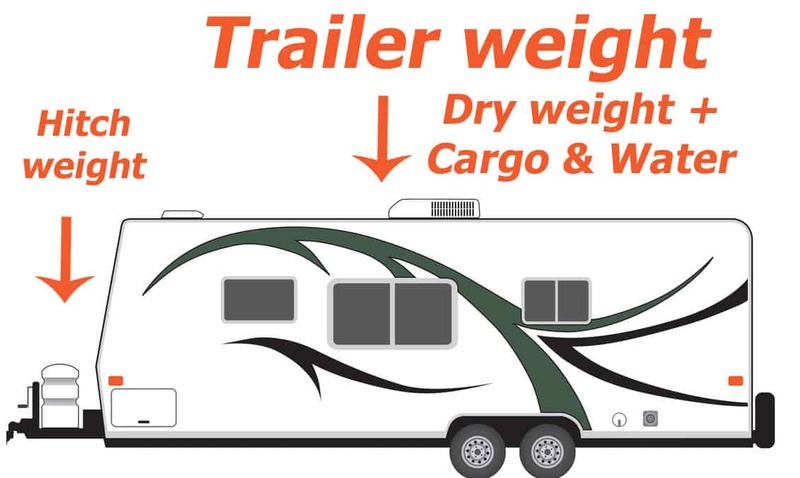 That figure shows you the dry weight of your trailer, camper or 5th wheel. 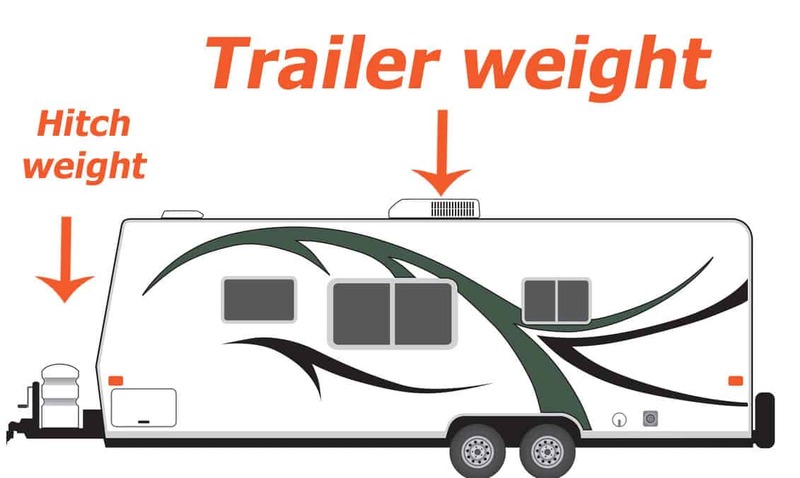 Most camper trailers weigh just over 5,000 pounds. Bigger trailers, like those from Cherokee and Jayco, may weigh anywhere between 6,000 and almost 7,800 pounds dry. 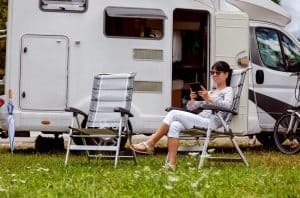 Some smaller camper trailers may be as much as 3,700 pounds dry. On the other hand, a huge 40 ft long 5th wheel can weigh over 15,000 pounds. The weight of water in a full fresh water tank. The weight of water in full black and gray water tanks. Weight of additional generators and the propane in them. Other cargo weight (Pans, pots, clothes, linen, you name it). As for the first two, again, the numbers are clearly on display in the unit’s specs. Assuming you’re going to dump every time you fill up the fresh water tank, it’s safe to assume only half of that total weight will be towed at any given moment. However, if you want to be on the safe side and really get your maximum trailer weight, you can factor in both numbers for the sake of this calculation. When trying to estimate cargo, it really depends on how much you and your family need. Full timers usually have more gear than people who only take the RV out for the weekend. When asked about the average weight of cargo, RV’ers sometime say that it’s like asking “how long is a piece of string”. 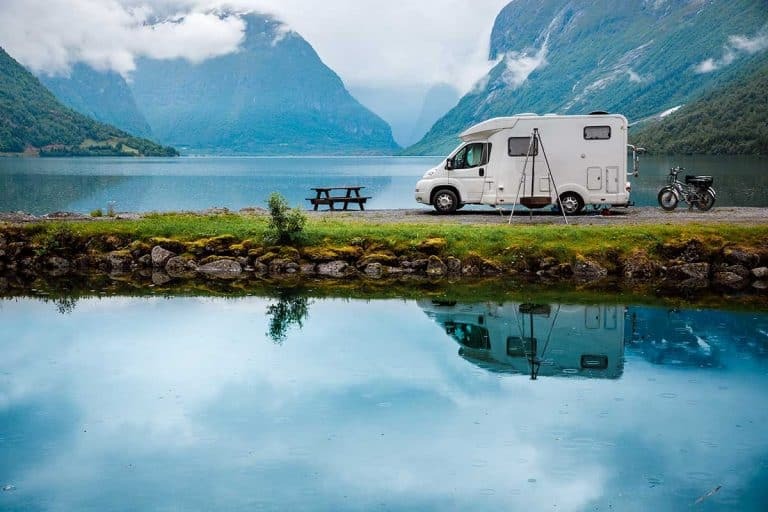 If you really want to get an estimate before deciding on the trailer of your choice – you’ll have to make a super exact list of what it is that you’re going to take with you. Then weigh everything piece by piece and add up. Don’t forget – this has to include everything. Including food, clothes and your dog. Ultimately, to figure out how much the entire rig weighs, you’ll need to factor in the weight of all family members too. As we’re established by now – tongue weight matters a lot. The thing about tongue weight is that it’s not just a question of how much your trailer weighs. It’s also an issue of weight distribution within the trailer. If you place heavy stuff in the front of the trailer, the tongue weight increases even though your total weight is exactly the same. In other words, you have some room for maneuvering here. If you want to increase tongue weight to reduce sway in a lightweight trailer, place a few heavy objects in the front of the trailer. Just don’t forget to weigh the tongue again and if you’re happy with the ratio – secure everything tightly in place. After all, this is a moving vehicle. The last thing you want is things rolling around in your trailer. As you now know, this is more than the risk of loose items breaking other stuff. Just by moving around, heavy objects can change your tongue weight while you’re on the road. That can be very dangerous. Yes, you need to crunch some numbers when assessing your towing capacity vis a vis your trailer weight. Hopefully this post helped you with understanding which numbers it is that you need to be looking at. Don’t forget to leave some room for unplanned “extras”. Make sure you do not get close to your actual towing capacity for trailer + tongue or to your total allowed weight of truck + trailer + tongue. I’ve seen RV’ers refer to this as “cushioning”. Just leave some room to spare so that you’re never close to overloading your trailer. And as always, thoughts, insights, questions and any comments are very welcome, so leave me a note! 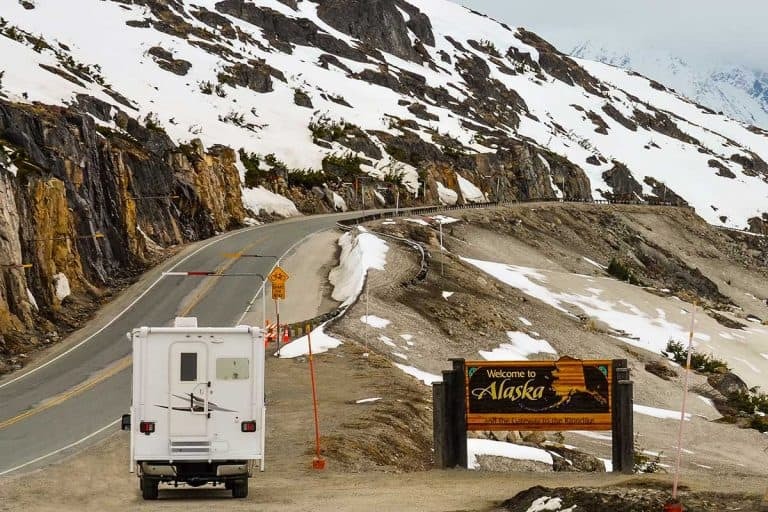 Next PostWhat to Do if an RV Slide Out Stops Working?